What is a Wonder Week? ~ My Baby Sleep Guide | Your sleep problems, solved! I explained a bit about what Wonder Weeks were in my review of the book, but I thought I'd give a bit more of a description here before I jump intomore posts about it. What in the world is a Wonder Week and what happens during them? A wonder week is like a growth spurt for the brain. It happens quickly and over a relatively short period of time. And it is really upsetting to a baby. Her perception of the world suddenly changes and she perceives it in a whole new light. As you can imagine, it is pretty distressing and confusing for such a tiny person. Because of this, she may act very fussy for a short time as she adjusts to all the changes. These changes are a good thing though. They cause her to assimilate information in a new way which helps her advance in her physical and mental skills. Some babies will pick up more skills than others at each leap. A lot of it has to do with your baby's interests. Try not to stress too much about. There's enough 'my baby is doing more/less than your baby' as it is! 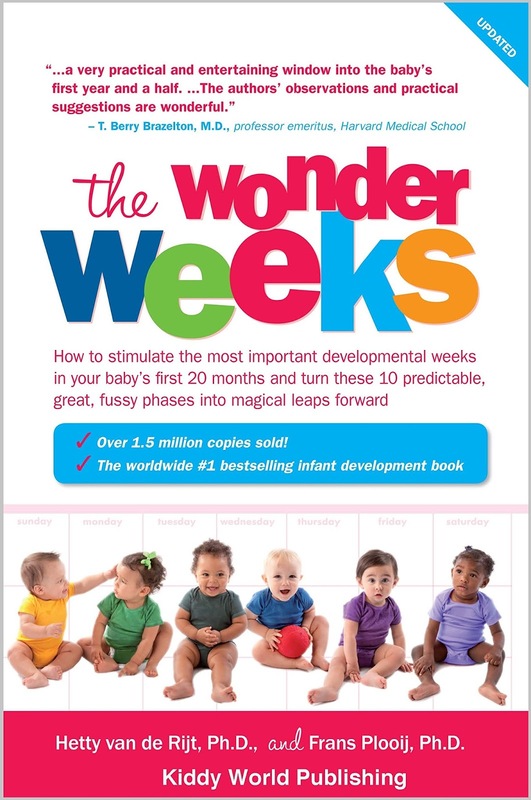 You can pick up your copy of the Wonder Weeks here to learn more about how you can help your baby reach her potential during and after these weeks. You can also take a look at WHEN the wonder weeks occur through this link. Very interesting post! 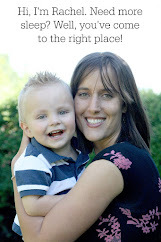 I remember my third son hitting a particularly fussy time about a week post birth. The midwife told me it was normal and should be short lived. So glad that it was as I was struggling with loss of sleep after years of older boys sleeping well. Thanks for linking up with the Curious Hop. I hope to see you back again. It is amazing how the wonder weeks really do appear. Every time my last child got fussy I'd check, and what do you know, a wonder week. I wish I'd had this book with my first, it would have made that experience a lot easier! Wow, it's amazing that they can pinpoint exact weeks that children have these spurts. I've never heard of it before. Do you know what age they stop having these growth spurts? My almost 2 year old is going through a "cry week" which I'm blaming on entering the terrible two's. I'd be happier if I knew her brain was growing. Lol. Returned your visit esluka. thanks for stopping by! I have heard from somewhere that there may also be one a little before kids turn two. There are also reports of them throughout the rest of childhood, and possibly into adulthood but they are not well documented yet, from what I can tell. I don't have any children but I have worked with newborns and never heard of a Wonder Week. Now I know what they are! Thanks for stopping by Edge of Insanity! On my way to write an Alexa review! It is surprising how this information isn't well know. And too bad, because i really helps out to know it. Thanks for stoppings by! Left a review for you. 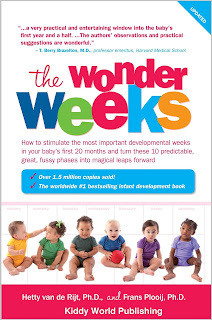 Does the book identify what skills are being developed during which Wonder Weeks or is it different for every baby? It does tell you what possibly skills your baby will develop (but almost reminds you that not all babies will develop this skill at this time) and has a bunch of useful games you can do to help with these new skills. It's really pretty useful. I may post more about the skills later. Not sure if I'll go into that much detail though. Cool! I will check out the book. Cheers! Given that due dates are only estimated and rarely reflect the date the baby is actually ready to leave the womb, basing Wonder Weeks on due dates seems to invalidate the whole idea! I can't buy into this. If your baby is fussy, maybe he's just having a fussy day/week.